Both the GeForce RTX 2080 and GeForce RTX 2080 Ti will be faster than any consumer GPU released before, Nvidia claimed at GTC Japan. One week before launch, and long after preorders launched, Nvidia is putting more cards on the table: The GeForce RTX 2080 will be faster than the GTX 1080 Ti. 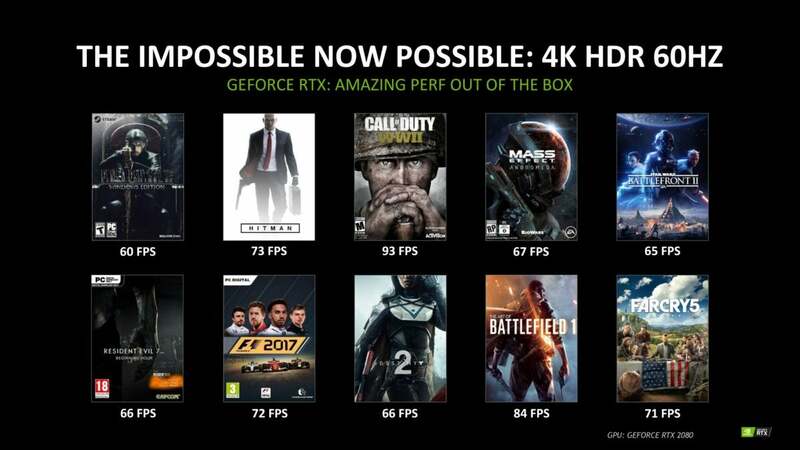 And the GeForce RTX 2080 Ti will be the fastest consumer graphics card ever released. 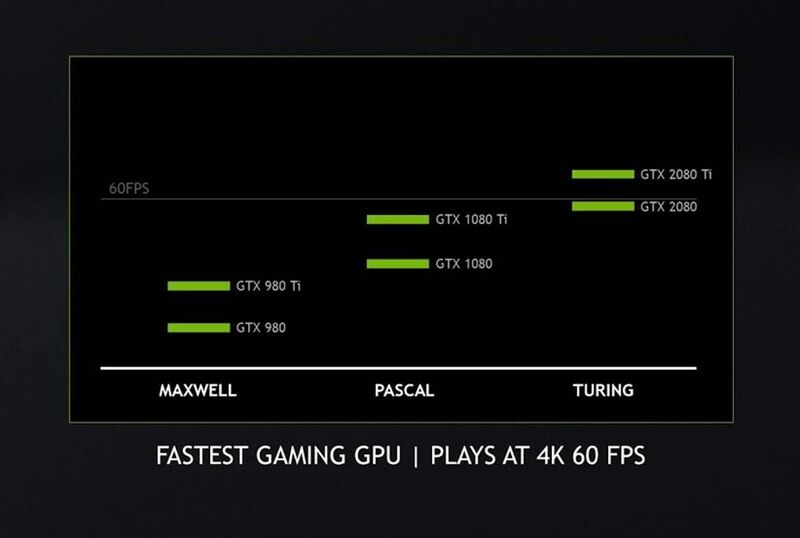 Nvidia spent the entirety of the GeForce RTX 20-series reveal hyping up the exciting potential of ray traced games, and understandably so—nobody expected ray tracing to be in mainstream games this soon, and gamers need to know what ray tracing even is. But the complete lack of information about the GeForce RTX 2080 and RTX 2080 Ti’s performance in traditional games left people wondering if there was an ulterior motive behind it. Could these pricey graphics cards be slower than their predecessors? No. 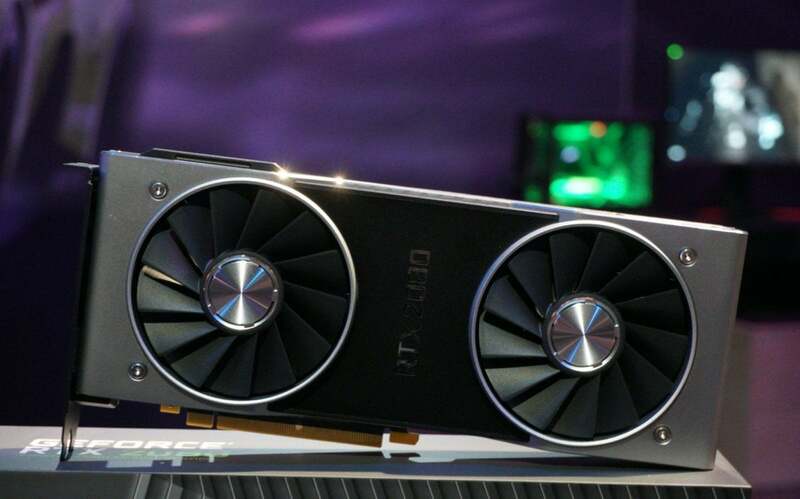 A couple days after the reveal, Nvidia said that the $700 GeForce RTX 2080 will be 50 percent faster than the GTX 1080 in traditional games, and capable of surpassing 60 frames per second at 4K resolution. 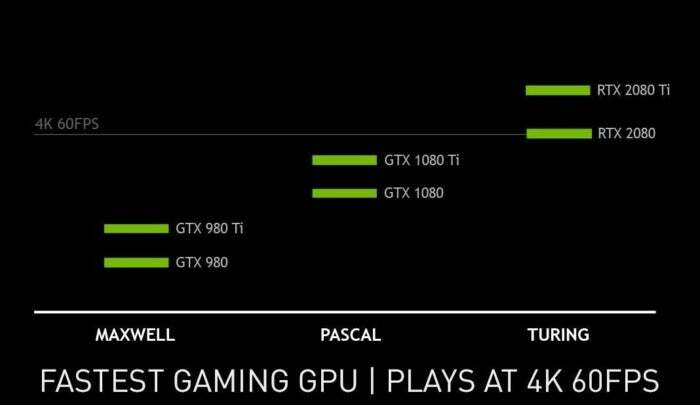 Wednesday night, at GTC Japan, the company released a graph that confirms the GeForce RTX 2080 will indeed surpass the performance of the vaunted GTX 1080 Ti at 4K resolution, as you’d hope with a generational jump. Graphs are supposed to be hard math, but this one is anything but. The axis isn’t labeled, and the cards aren’t arranged quite like you’d expect going off pure performance results: The GTX 1070 was faster than the GTX 980 Ti, but this graph has the GTX 1080 just a hair above it. The chart also doesn’t disclose what games or graphics settings generated these results. And is it my imagination or is the gap between the two “Turing” RTX cards slightly smaller than the gap between the previous generation GPUs? There’s no doubt what this image declares though: Both new GeForce RTX graphics cards will be faster than anything previously released. The (theoretically) $699 GeForce RTX 2080 and $999 RTX 2080 Ti hit the streets on September 20. 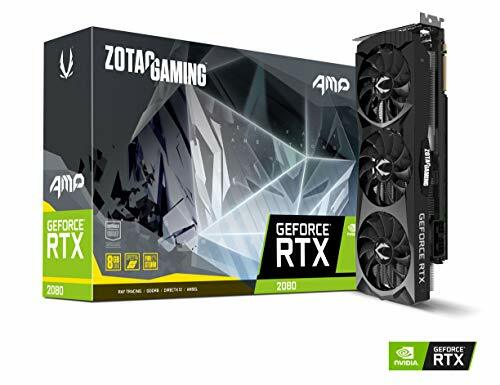 You can find full details about both in our initial GeForce RTX 20-series announcement coverage, and a wide selection of custom GeForce RTX graphics cards are already available to preorder. This story, "The GeForce RTX 2080 will be faster than the GTX 1080 Ti, Nvidia says" was originally published by PCWorld.